Mr. Hollander hasn't always been so bullish about advertising on Tampa Bay radio. "I used to be one of those guys who would say, 'I tried radio once, but it didn't work.' But, it's only because the first time I did it all wrong." "In 2006, I received a lead from a homeowner who wanted to buy a single window. No other company would work with him. Because I was strapped for cash flow, I would take any deal even if there was only a $20 profit in it. This was one of those deals." 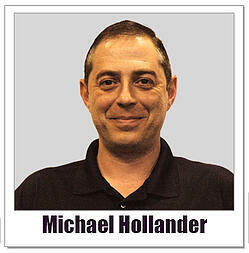 "The customer turned out to be a local radio personality," says Mr. Hollander. "He was so thrilled with my customer service that he convinced me to tell my story in a series of radio commercials." "So, not knowing what I was doing, I spent a $1000 for a short schedule. It turns out I purchased too little frequency for too short of time. Of course, the advertising did not produce results. So I cut it off." For the next two years, the business grew from word-of-mouth, referrals, and the expanding economy. A year later, the great recession hit, and Mr. Hollander was able to struggle through primarily because the business carries no debt. In 2010, the Obama administration introduced a $1500 credit to taxpayers who replaced their doors and windows which, as Mr. Hollander says, "was a shot of steroids for our business." This program, along with an improving economy, permitted Mr. Hollander to begin investing in advertising again. "It was about this time," he says, "a local radio station approached me about sponsoring a local home improvement contest. The opportunity provided us with an immense amount of frequency on Tampa Bay radio. It wasn't long before we were getting leads from people who told us they heard about us on the radio." "So, that's how I learned that successful advertising is driven by frequency. On Tampa Bay radio, I discovered, I could affordably purchase enough frequency to really have our brand sink into our target customers' heads," Mr. Hollander says. Another staple of Weather Tite's advertising formula is DJ endorsements. This is when a DJ talks personally about the value and benefits of doing business with a particular company. "People listen to the same radio personalities every day for years," says Mr. Hollander. "These DJs have built trust with their listeners. So, when the DJ suggests a company to use for replacement windows, those listeners will call us." To fulfill his quest for frequency, Mr. Hollander also invests in naming rights sponsorships on every station. "This allows our name to be mentioned once per hour, every day as part of the station identification. They say something like, 'broadcasting from the Weather Tite Windows Studio this is WXXX Tampa.' Imagine having your company mentioned 168 times per week." "This return," says Mr. Hollander, "translates to a 4% cost per lead. To put that in perspective, the cost per lead I get from my television advertising is 15-20%. 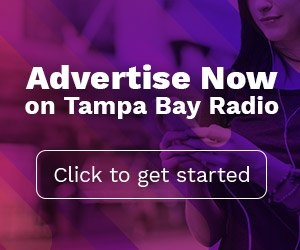 Clearly, advertising on Tampa Bay radio is a very powerful lead generation tool for us." Mr. Hollander is certain almost any Tampa Bay small business owner can benefit from radio advertising if they follow his advice. "First of all, invest in frequency," he says. "I suggest that every company, especially when they are growing, invest 15-20% of their revenue back into advertising. That's what we did." "As the business grows, you can cut back on the percentage but not the actual dollars," he says. "For instance, we are at the point now that we are putting 10% of our sales back into advertising, but our overall spending continues to go as we grow."